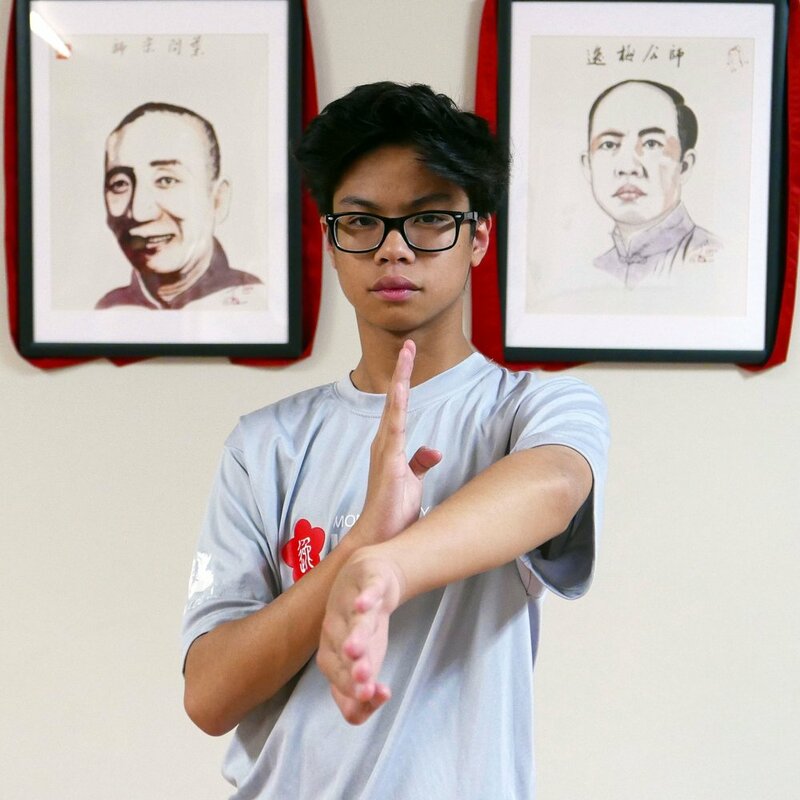 Learn the three empty hand forms of Ving Tsun (Wing Chun) Kung Fu - Siu Nim Tau, Chum Kiu & Biu Jee. Siu Nim Tau (little beginning idea) is the foundation of all Ving Tsun. This form contains the hand positions and movements of our system and promotes a relaxed energy. It also trains your "horse stance" to become a strong base, enabling a practitioner to use the whole body to generate power with every movement. Chum Kiu (seeking the bridge) continues to train your horse and adds movement with the idea of creating a “bridge” or connection with your opponent. Timing, coordination and balance are very important. In this form, the Ving Tsun student learns about changing centerline. Biu Jee (darting fingers) or “standard compass” concentrates on cutting back to centerline, just as the hand on a compass returns to pointing north. Biu Jee is sometimes said to contain emergency techniques that can be used to recover from a loss of centerline. This is the most advanced empty hand form in Ving Tsun and is taught after a student has a thorough understanding of Siu Nim Tau and Chum Kiu.